All you need to know about a Solitaire Diamond! The engagement ring is a dream most women have had since they were little girls, and while they do come in all materials and styles, the most popular and desirable by far is the solitaire ring. That lone diamond that commands presence and beauty and symbolizes the love of a lifetime. But as romantic as the notion of that ring may be, choosing one can be equally confusing! We recommend doing a bit of research before entering your jewellery store, to avoid last minute confusion or a purchase that you later regret. After all, this is one ring that will be worn for a lifetime! And when it comes to solitaires, there’s no escaping the technical basics of the 4Cs. Here we list them out for you to make a more informed decision. While the round diamond is by far the most popular, there are multiple other shapes in which a diamond can be bought, and more importantly, the price gets impacted by your choice as well. The round shape also happens to be the most expensive cut available in the market. You may want to try out something different, such as the Marquise, Princess cut, Pear, Heart or Emerald shape to see what suits the bride’s finger and looks the best. We keep hearing the term carat used loosely regarding your jewellery’s quality, but what does this really mean? While a lot of people believe it has to do with your diamond’s size, it’s actually a measure of the weight of the stone. Hence, a 1 carat diamond would not come in a standard size, but varies on the basis of the cut and shape as well. Based on the carat measure of your diamond, you could be shelling out anywhere between Rs. 50,000 to 2 lakhs for your precious stone! One of the methods to bring the ring of your dreams a little closer to your budget is to shave off a tiny amount of cents (1 carat is made of a 100 cents) from your diamond. 10 cents reduced does not affect the size or look of your diamond significantly to the naked eye, but definitely impacts the price at which it is sold. Believe it or not, there are multiple colour ranges for your diamond, and not all are pure white and sparkly! The range starts from D, which is the rare absolutely colourless range, and heads all the way to Z, the latter of which have a slight yellow tinge. Not surprisingly, D-F are the most expensive range of diamonds and the price goes down as the colour changes. Makes sure you ask your jeweller exactly what colour range your diamond falls in! Of course, this colour spectrum does not include the extremely rare pink and blue diamonds, which cost much more than a D diamond! Last but not the least, the fourth C – Clarity, is something inherent to a diamond, and cannot be altered by human intervention. As with the colour chart, there is also grading of clarity starting from FL-IF, VVS1-VVS2, VS1-VS2, SI1-SI2, I1, I2 & I3. The clarity grade depends on, if the diamond is flawless without any inclusions (FL-IF), and the amount of imperfections visible under magnification of the naked eye, with I2-I3 standing for an imperfect diamond. Again, an FL diamond would by far be the most expensive, with your price range reducing with each grade. Rings can fit a little better into your budget by a small change from VVS to VS, which might not really show as much of a difference in quality to the naked eye, but makes a much bigger difference in price! Some people prefer selecting their diamond separately, and then having it set into a ring of their choice. Either way, the band is also an important choice along with the diamond. While gold is beautifully classic, platinum is classy and new-age. Do think about what you prefer, in terms of your skin tone and the look of your ring. Moreover, the design of the band can completely define how your ring looks. Whether you want a plain band or a prong setting, do see different catalogues to get a better idea of your dream ring. We would also suggest looking for a certified diamond, to ensure quality of purchase. There are multiple agencies such as the IGI & GIA who offer certifications, so make sure you ask your jewellery store manager for this! So put on your research hat, decide your budget and see what specifications you prefer, because the final price of your ring is going to be dependent on all the qualities mentioned above. Moreover, ensure you know what you’re buying, and don’t get duped into purchasing a lower quality product for a higher price! We at The Wedding Co usually get a lot of quirky requests from to-be-weds regarding the detailing at their wedding. Obviously, everything from the wedding theme to the giveaways are customized to suit the couple’s taste. However, we’ve noticed one particular colour trend that has ruled the roost in the wedding world for a while now, and that is *drum roll* : the colour PURPLE! Ever so often we have blushing brides contact us with requests for a completely purple-themed, royalist wedding that’ll make the wedding party’s eyes go wide with wonder. Purple, traditionally associated with nobility, is available in dozens of shades and can be paired with virtually any colour under the sun, if done well. Besides, it’s a good shade for day and evening weddings alike. If you’re planning a purple-themed wedding, let your wedding invitation set the mood for it. 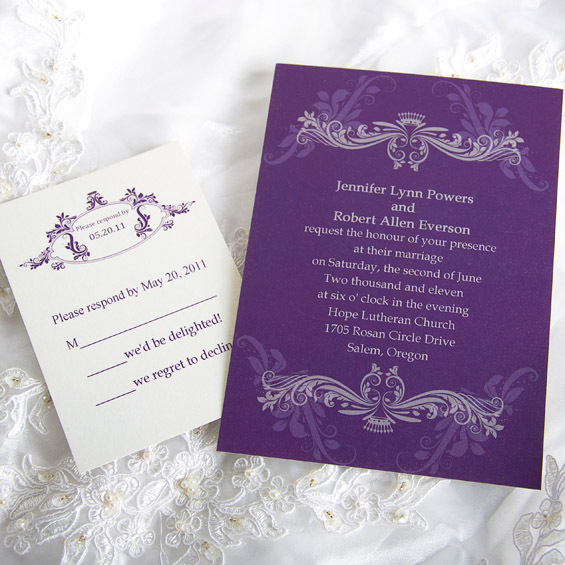 You can opt for a simple white invitation with a purple ribbon or pattern. Alternatively, you can pick a combination of purple and gold for a regal-looking invite. For a modern appearance, try a cream card printed with a bold plum embellishments to give your audience a prelude to your purple, festival. Orchids are an exotic, dramatic choice for the D-day. 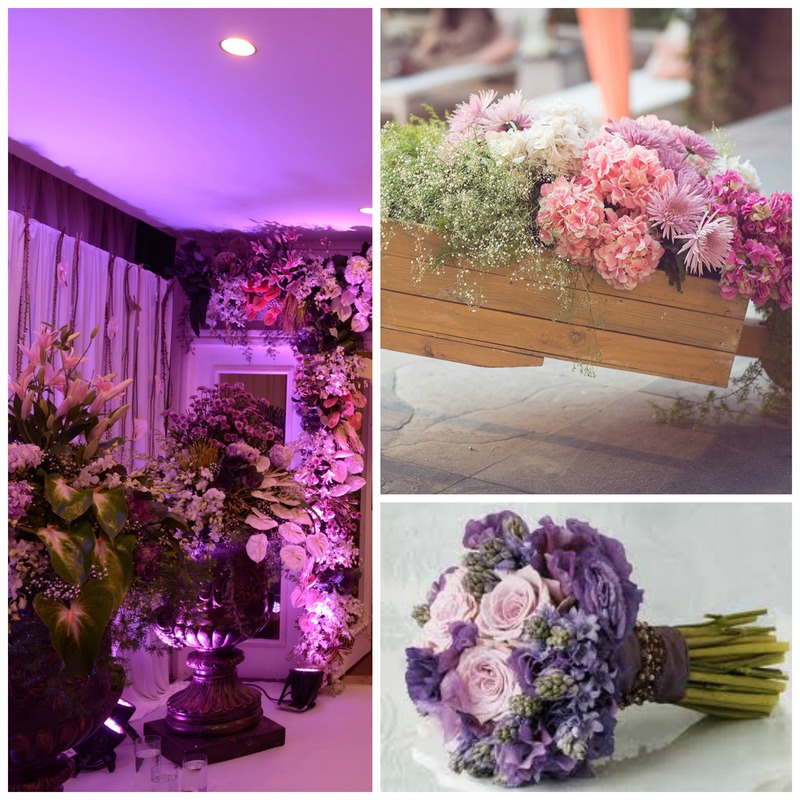 There are also loads of other purple flowers to choose from, such as calla lilies, dahlias, and asters, that you can use in the wedding centerpieces, mandap decorations, and bridal bouquets. Purple flowers often need lighter elements to bring out their richness, so include some white or cream flowers, silver decorations, or some daring pops of unconventional tones to reinvent your wedding decor. Purple tones go great with wooden or earthy tones, stone backgrounds, church backdrops, and possibly anything you can dream up. It won’t matter whether you’re tying the knot in a maharaja’s palace, among the ruins of an old fort, in a rustic church, or at the beach, purple pairs well with any pattern and for any style of wedding. Adorn the church pews with it, use in on the mandap pillars, or make it the dress code for the cocktail reception; this colour will not disappoint. There is so much room to go crazy with purple, and you’ll still end up looking like you’re royalty on your wedding day. The shade has a little something for the traditional and contemporary alike. 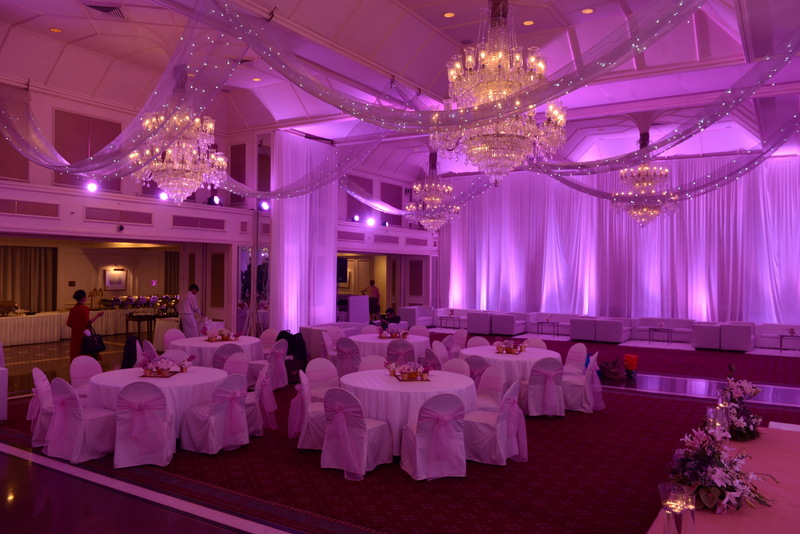 And, because it’s not a conventional choice, a well-executed purple colour scheme can be truly memorable. Furthermore, there are literally hundreds of shades of purple to meet every bride’s taste, and the colour flatters almost any skin tone. Purple symbolizes dignity, tolerance and togetherness, in addition to royalty and spirituality. So if this colour is your weakness, incorporate it into your wedding and dazzle your audiences with the imperial touch. It’ll definitely be one to remember! Revamping the Trend at Every Bend! 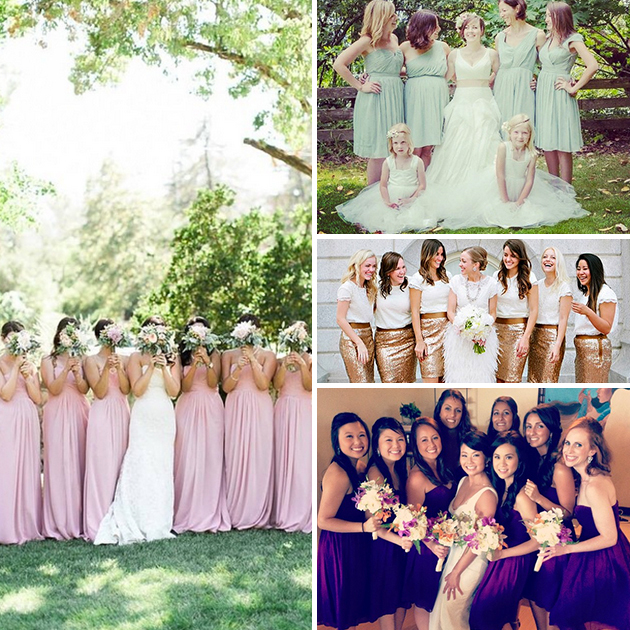 Wedding trends are an ever-changing phenomenon. What was trending in 2013 was probably obsolete by 2014 and is blasphemous this 2015. The only constant trend of the century has been to reinvent what already exists. This year wedding themes and colours schemes get even bolder than last year; the palette primarily constitutes muted tones paired with vibrant colours. You can couple luscious red with sober taupe, pair vivacious orange with mouth-watering mint, or combine royal purple with sterling silver to adorn your wedding day. And that’s just the beginning of the list; there are a host of other quirky ideas you can choose from. This season to-be-weds are looking to make a statement by picking the wackiest location for their special event and give the wedding party a true experience to remember. 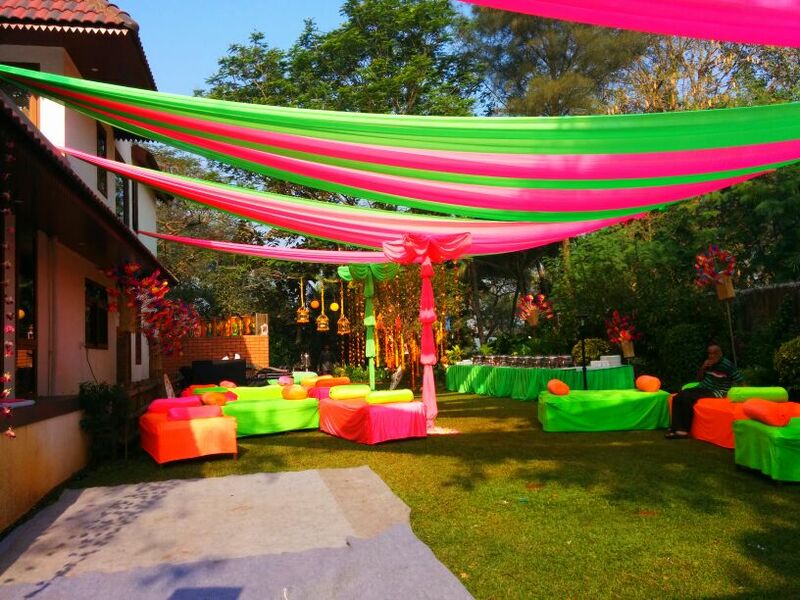 The benefit of an offbeat, unique wedding venue is that you won’t need to fuss over the decor too much as the natural state of the location is bound to be striking. Palaces, historical monuments/ruins, boats, botanical gardens and film cities make for stunning, unlikely wedding venues that’ll surely remain in the memory of your audiences for years to come. Gone is the age of horses and horse-drawn carriages. New-age grooms are discovering innovative ways to make stunning, awe-inspiring entries to make a solid statement of style on the D-day. Vintage cars, decorated bicycles, custom bikes and helicopters are some popular means of transport among these modern-days knights. Well, all that seems to be missing is a 50-foot tower and fire-breathing dragon to get to the bride! A few years ago, it was all about the cocktail parties and sangeets. However, wedding couples these days have taken the celebrations up a notch, with post-reception parties being the flavour of the season. After parties are a great idea to break away from the formality of the wedding reception and provides opportunity for easy interaction between the wedding guests and the newly weds. They’re also a great opportunity for the bride and groom to get to know their partner’s family. Besides, these parties need not be extravagant, so they’re easy on the pocket. Opt for something low key like karaoke and drinks, relax at a lounge, go bowling or to a videogame arcade or just unwind with a house party. Post-wedding trends are the best thing since cupcakes! Media has played a significant role in weddings for the longest time, but social media and other new elements have completely revamped the look and feel of weddings and made this a multi-billion industry. Wedding pairs are increasingly opting for pre-wedding photo shoots, wedding films, wedsites, wedding mobile apps and Twitter hashtags to spread their bliss. However, though the trend has been to make the wedding famous through social networking, several couples are opting for unplugged weddings so their guests can truly be present in mind and spirit to enjoy the festivities on their wedding day. Ultimately, trends are what appeal to a mass of people, which is why they gain popularity. 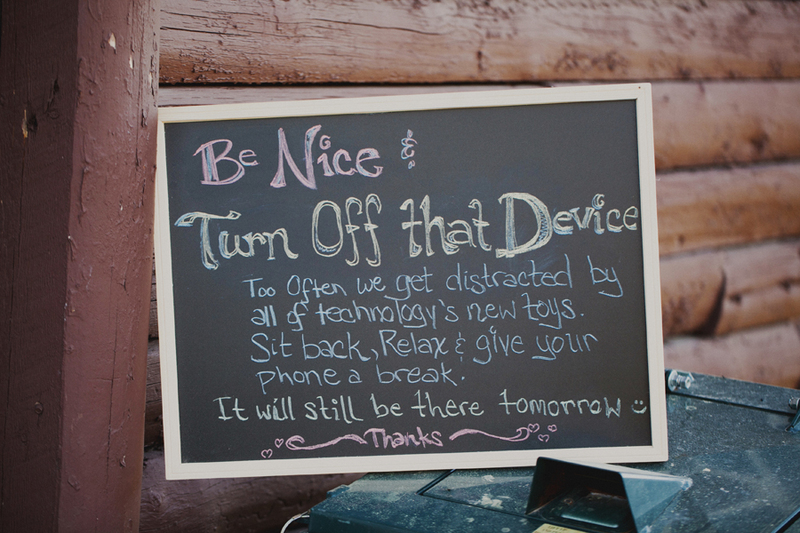 They’re encouraged and appreciated, but never an obligation and can most certainly be reinvented. 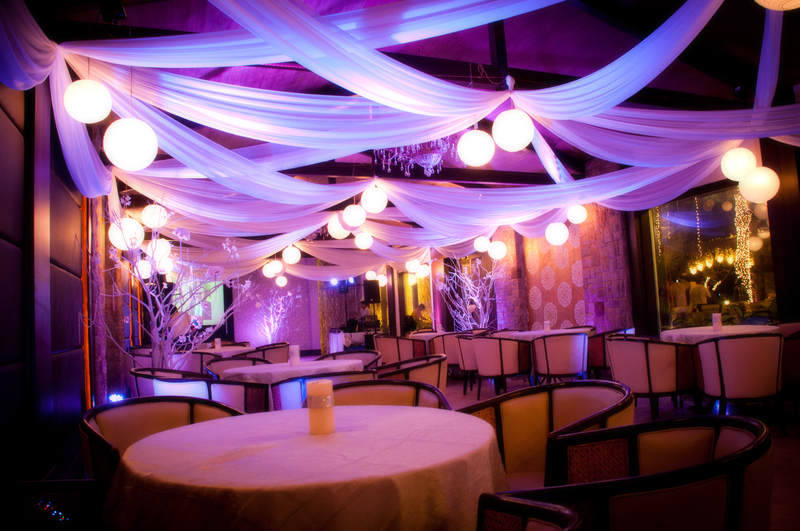 Don’t shy away from doing something completely out of the box and wowing your wedding party. Start your own trend! The biggest wedding trend of recent years has been to go offline with your wedding. We know it sounds like just another pomp, but consider this. Do you recall a time when wedding guests paid attention to the wedding vows rather than how much battery they had left in their phones? When the official photographer didn’t have to worry about bobbing heads and protruding arms that could potentially ruin a crucial capture of the wedding ceremony? Well, these are few of several reasons why to-be-weds these days are requesting for an unplugged affair. 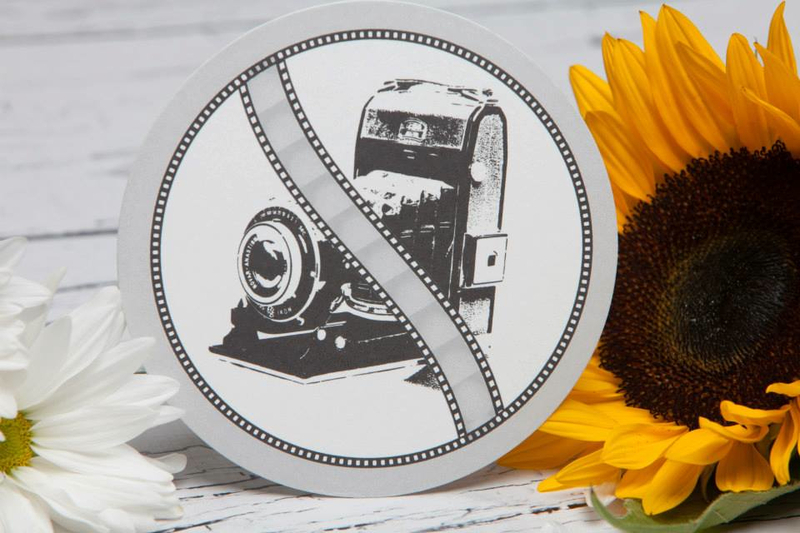 An unplugged wedding is when the wedding party requests their families and friends to turn off their camera phones, tablets and other electronic hindrances and truly enjoy the wedding experience, and bless the couple with their heart and not their photography skills. We really understand why brides and grooms are going this route. 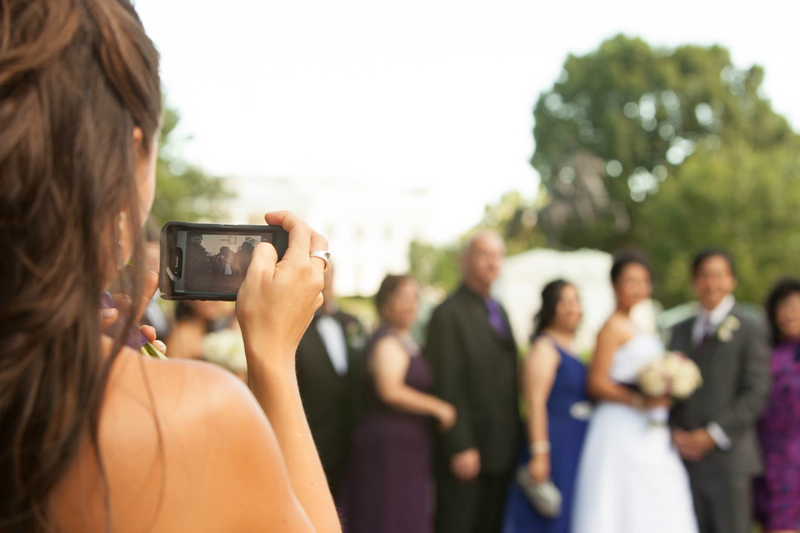 This gives the hired wedding photographer the chance to capture the wedding as efficiently as possible without missing key shots due to obtrusive guest photographers. Wedding photographers involve a heavy investment, so it’s a real shame when the perfect wedding shot is ruined by a spontaneous flash from a smartphone. 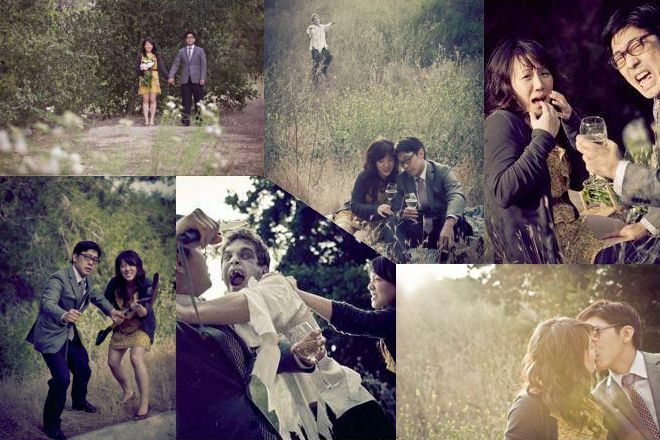 Besides all this, an unplugged wedding helps maintain a sense of intimacy in the wedding affair. Guests can truly enjoy the revelry and participate in the ceremony without worrying about capturing the perfect portrait through a 5-inch screen. I mean, the official photographer gets paid for the job, so it’s best to let them handle it. It’s alright to let the bride be the first one to Instagram her wedding. All in all, it boils down to the wedding couple’s personal choice. Some brides and grooms love the attention and the fact that guests are so socially charged and updating about their ceremony in real time. On the other hand, some prefer to pick the unplugged itinerary and have their friends and family be physically and mentally, rather than virtually, present on their joyous occasion. The responsibility you have as a guest is to ensure that your wedding pair have a truly memorable event and no hindrance or undue stress is caused to them due to a conspicuous camera click. 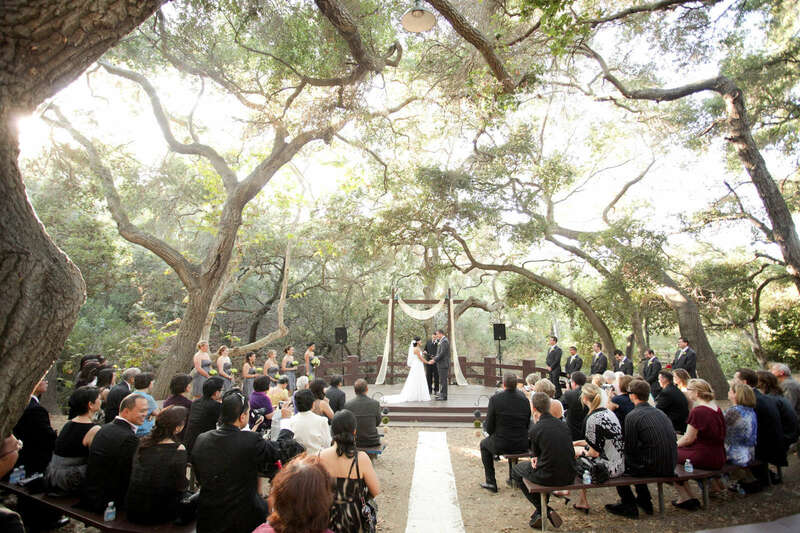 Of late, more and more couples are choosing outdoor ceremonies at their weddings. When a venue is not restricted by definite structures like pillars, walls and low ceilings, it gives you more freedom to play around with the decor. 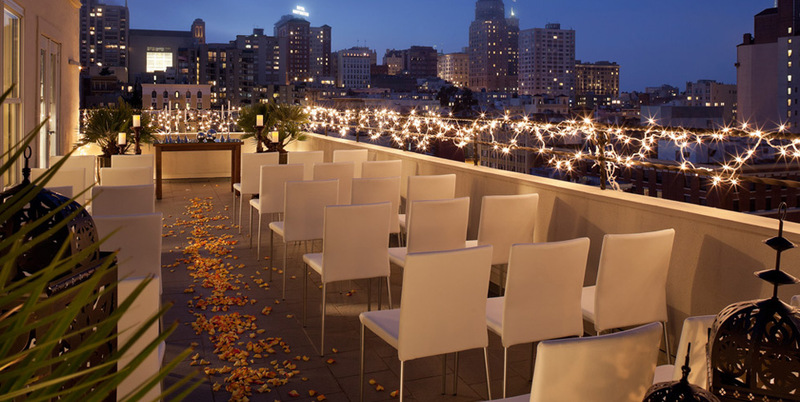 Rooftop venues are fascinating spaces for intimate gatherings as well as huge parties. Weddings are all about pretty backdrops and perfect photo opportunities – and with a view of the sunset or a skyline, that’s exactly what a rooftop venue gives you. If you are not totally on board with the main nuptials being carried out on a terrace, you can have a combination of indoor and outdoor venues – like a rooftop with an adjoining ballroom or a pre-function area. This will also serve as a back-up space in case of rough weather conditions. Ensure that there are provisions for electrical equipment which you need for the music and the lighting. 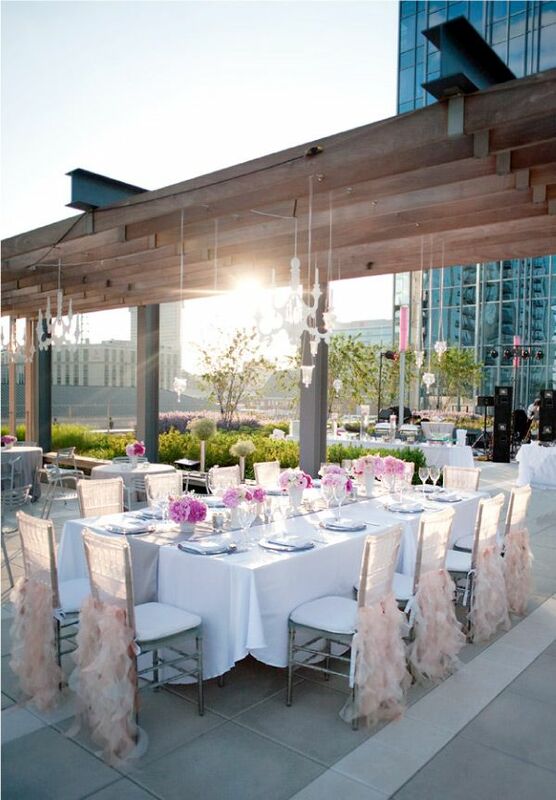 Sunset, without doubt, is the best time for a rooftop ceremony – the transition from natural lighting to supplemented lighting is smooth if you opt for soft and subtle lights, which also allow you to soak in the beauty of the night sky. Make sure you keep all your other decor simple and minimal, as the natural backdrop is great enough to set the mood. 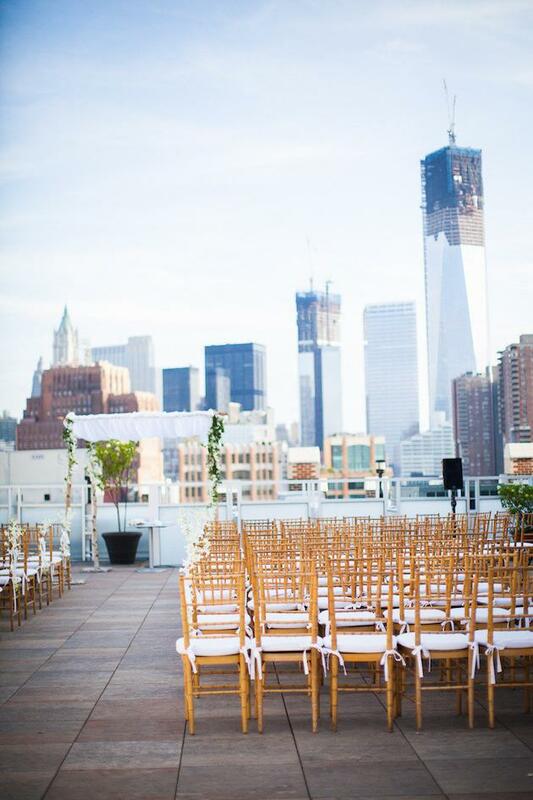 Logistically, a rooftop wedding is slightly more difficult to pull off than a normal one. Check with the hotel or the building you have in mind and keep all your licenses in place to avoid any kind of trouble. 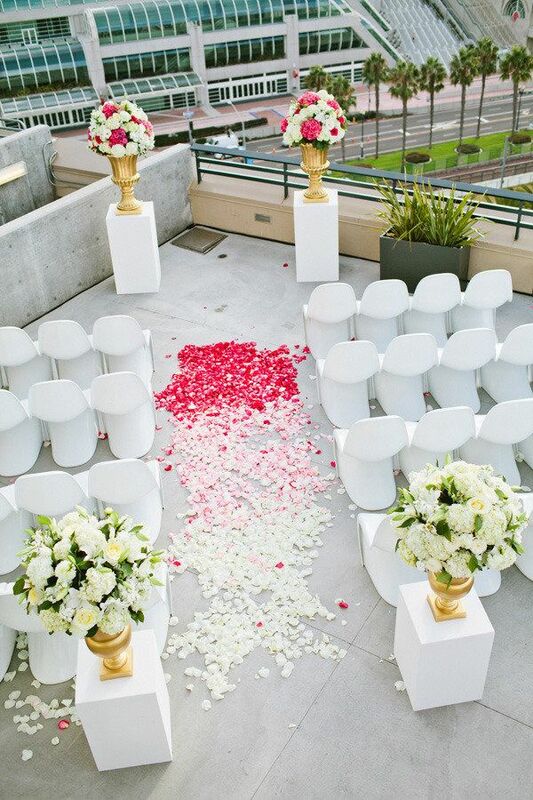 So go ahead and declare your love for each other from the rooftop, this wedding season. Tamilian weddings are reflective of the community’s simple way of life. These weddings which span a period of two days are held on days other than Saturday and Tuesday. Also considered inauspicious are days that fall between the mid of July to August, mid of September to October and mid of December to January. While Punjabi weddings are known for their dhol and Gujarati weddings for their shehnai, prominent musical instruments at Tamilian weddings are naathaswaram and melam. Tamilian wedding preparations begin once the match between the bride and groom has been finalized by their families. 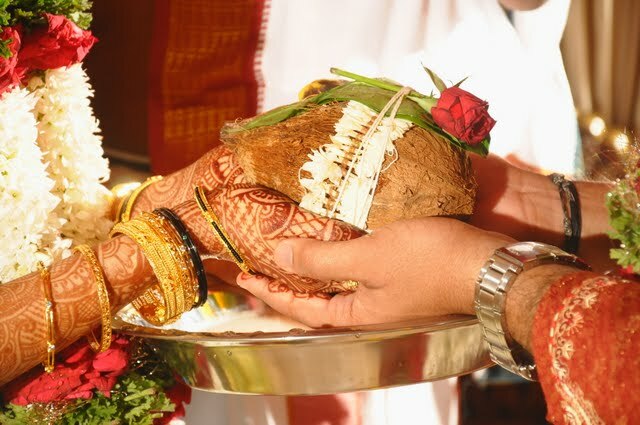 An auspicious wedding date is selected and the agreement placed on a plate full of bananas, coconuts and betel leaves. Since this occasion marks the beginning of the wedding celebrations, the bride and groom receive gifts by their respective in laws. The bride receives a silk sari while the groom receives clothes or cash. 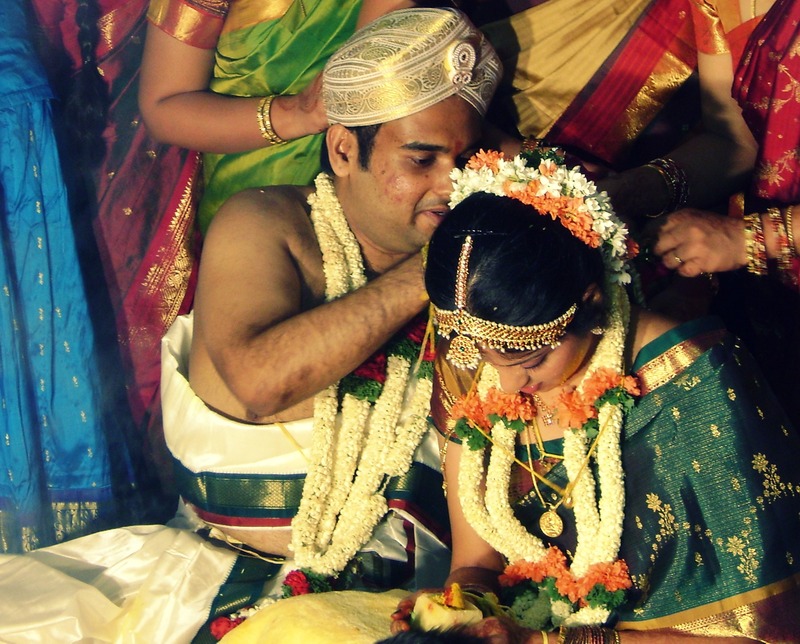 The pre-wedding rituals in a Tamilian wedding begin with a ceremony held to bless the couple. Known as the Paalikali Thalippu, this ceremony is conducted by the bride’s family wherein seven clay pots are decorated with kumkum and sandalwood paste and are then filled with curd and nine types of grains. These grains are watered by seven married ladies and on the following day thrown in the pond. In the hope that fish will feed on the grains that would have sprouted, many consider this an auspicious omen in blessing the couple. An unusual but important ritual of Tamilian weddings is a prayer held to bless the bride with the fate of a Sumangali, a lady who passes away before her husband, which is considered quite lucky. During this prayer, a feast is organized for all married women attending the wedding and during this time they are gifted saris. Once the prayers are over, the bride and groom, in their respective homes begin rituals to beautify themselves for their big day. The bathing ritual, Kalyanaponnu, also includes smearing the couple with scented oils. Post this ritual the bride and groom do not leave their respective homes until the wedding day. 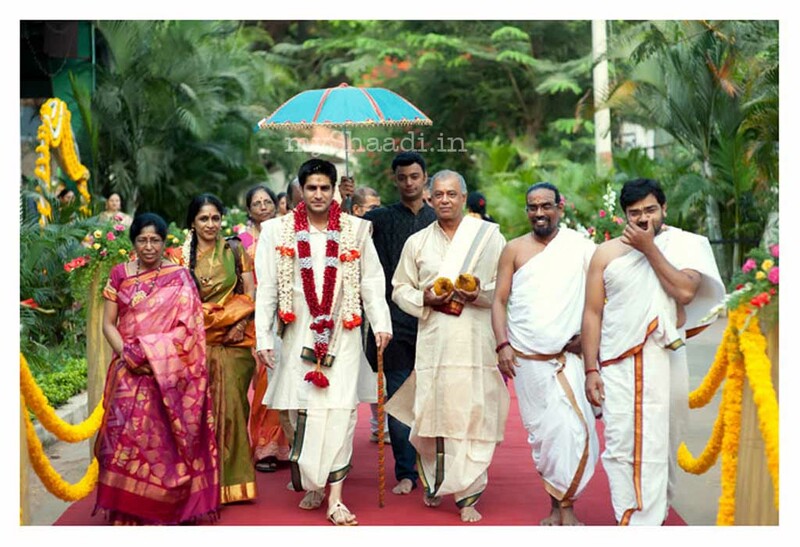 In Tamilian weddings, the groom and his family arrive a day before the wedding. The groom is welcomed by his to-be mother in law with sweets and the sprinkling of rose water. Once the celebrations of the welcoming are over, a Nandi Devata Pooja is performed by five Sumangalis after which the couple receive gifts of fabric. This pooja is followed by the Navgraha Pooja which is known to rule an individual’s destiny. While the groom prepares himself for the marriage the bride takes part in the Vritham ceremony where the holy thread is tied around her wrist. These rituals are completed with the Naandi Shraartham wherein ten Brahmins are invited so the families can seek their blessings. 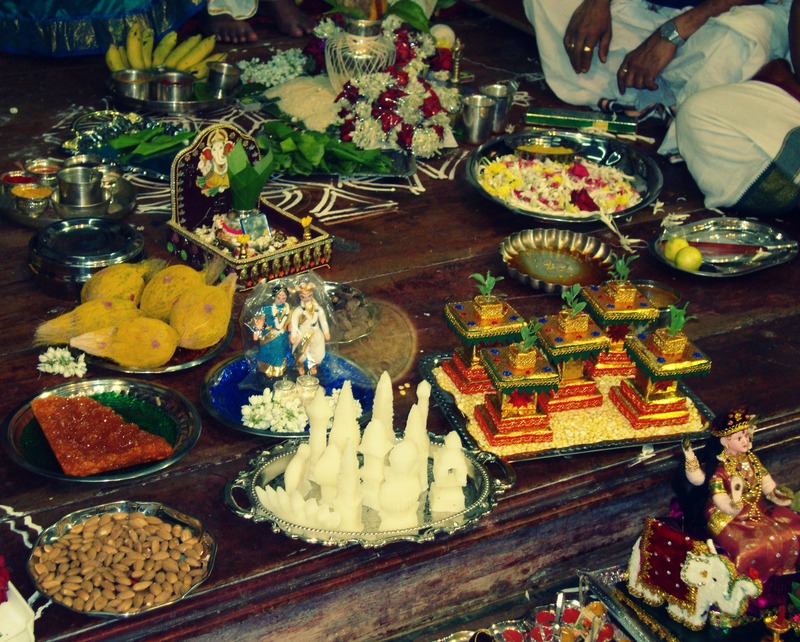 The Brahmins are then honoured with gifts of paan-supari, coconuts, clothes, sweets and flowers. 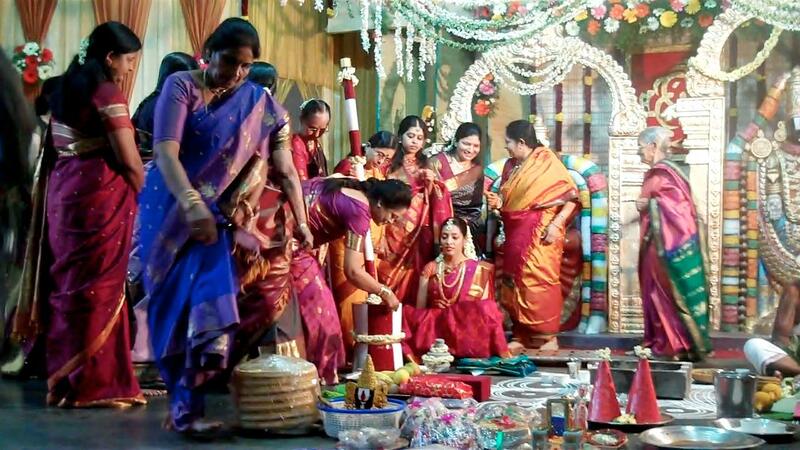 On the wedding day, the bride and groom bathe in a ceremony known as the Mangalasnanam wherein prayers are performed by the ladies of the house. After this ceremony, they return to their respective homes to get dressed for the wedding ceremony. Once dressed, the bride privately performs the Gauri Pooja while the groom pretends he is heading for the Kaasi Yatra. At this point, the bride’s father requests him to stay back and accept his daughter for marriage and they then take the groom to the wedding venue. While the bride’s mother washes the groom’s feet, the bride is brought to the mandap by her maternal uncle. At the madap the couple exchange garlands thrice to symbolize their unity. While they are offered milk and bananas, the older women of the house ward off evil spirits by throwing coloured rice balls in all four directions. The bride’s father then hands over his daughter to the groom in the Kanyadaan ritual after which the groom ties a piece of string around his waist and the bride’s wrist. 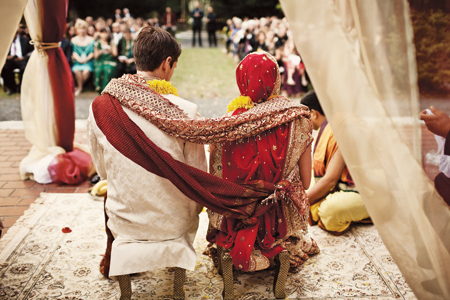 Once this ritual is over, the groom gifts the bride a new sari which she changes into before the ritual of placing the mangalsutra around her neck happens. Once he wears the bride the mangalsutra, the couple take seven steps together and they are now husband and wife. 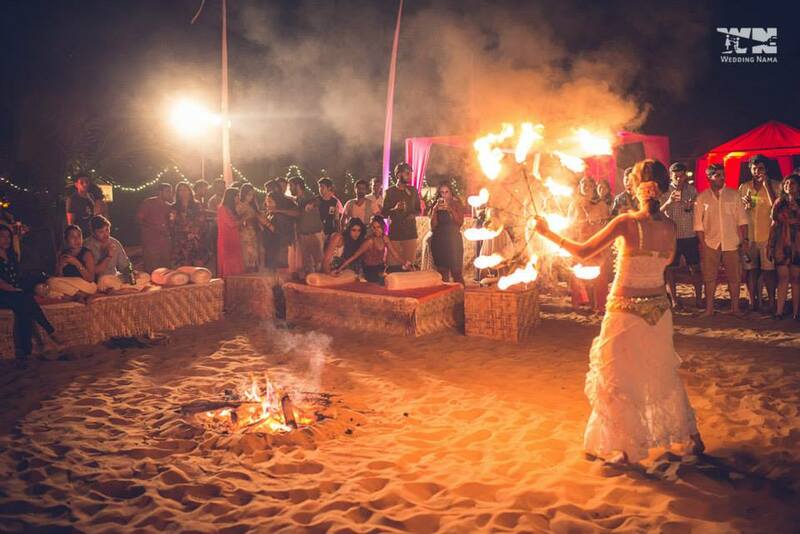 To complete the rituals, the couple step out of the venue together to spot the Pole Star and Arundhati Star only after which the bride makes offerings of parched rice grains into the holy fire. 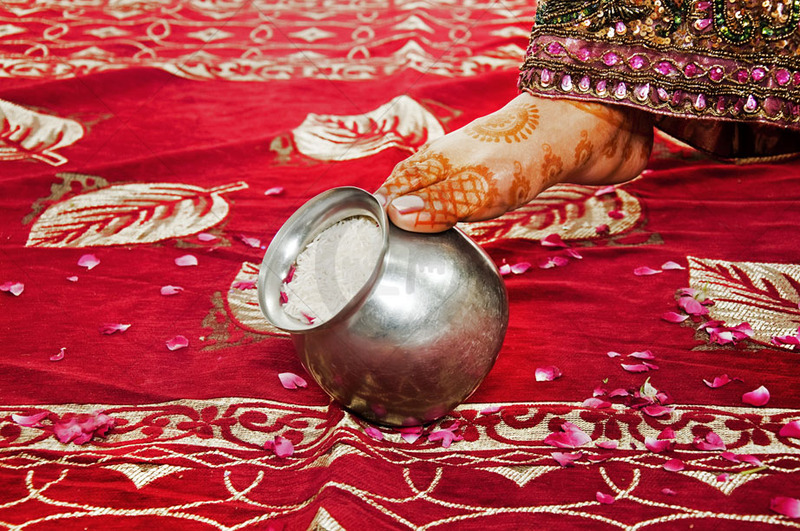 The wedding ceremony concludes with the groom placing toe rings on his wife’s right foot and couple then sipping on Panakam, a beverage made specifically for the occasion with jaggery, cardamom, black pepper and water. Once the wedding is over, the bride’s family gifts the groom with a suitcase, clothes and a diamond ring in a ceremony called the Nagoli Vasthra while the bride marks her entry into her new home with the Grihapravesha ceremony. At the ceremony she is welcomed by an aarti post which she enters the house only after tipping a jar of rice with her feet. Once she enters her new home, the Valeyadal ceremony takes place wherein her sister in law gives her a gift after which they all indulge in traditional games. 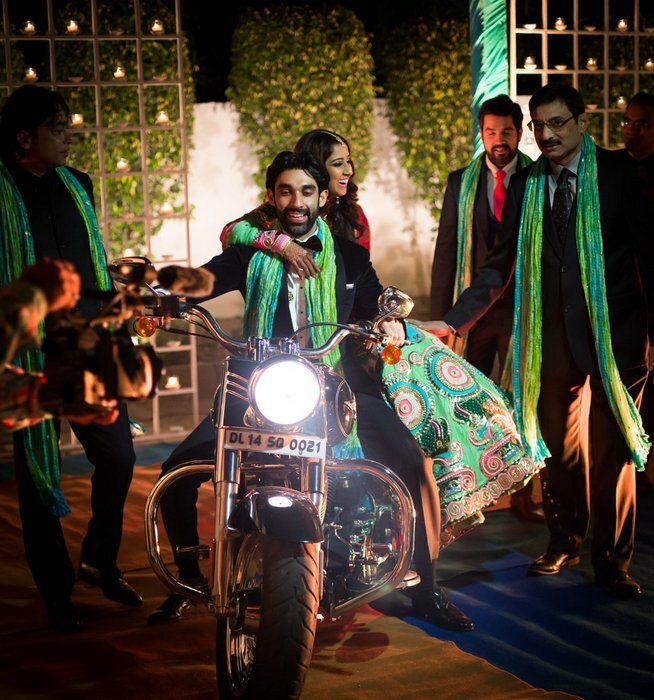 This is followed by the reception hosted by the groom’s family which gives the bride an opportunity to be acquainted with her new family and friends.